Although Japan still leads the world when it comes to pumping out gadgets, we really have to hand it to those up-and-coming Korean companies for their willingness to go the extra mile and add new features we never knew we needed. The latest unusual addition is a video projector that will be delivered to phones sold by SK Telecom later this year. 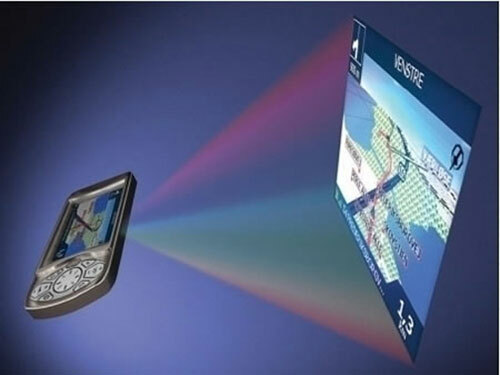 The ‘Nano Projector’ is capable of throwing a 20in image onto a screen or wall, yet is small enough to fit inside existing phones. Developed from an earlier iteration shown last year by Iljin Display, the projector is set to get its first commercial outing after mass production begins in September. SK will presumably be hoping to create a new market for instant public viewing sessions of whatever fascinating movie clips cameraphone users come up with, so we can expect plenty of skateboarding squirrels and drunken humans to abound. On the other hand - and considering that the same technology is likely to end up overseas too - how about a video-centric handset like a certain Apple product that could project tasty torrentz for all to enjoy? Sponsored links: We are the pioneers in providing 70-647 dumps and mcse 2008 tutorials with 100% exam pass guarantee. Download our latest 312-50 exam & cwna questions to pass real exam of 70-648 in time.